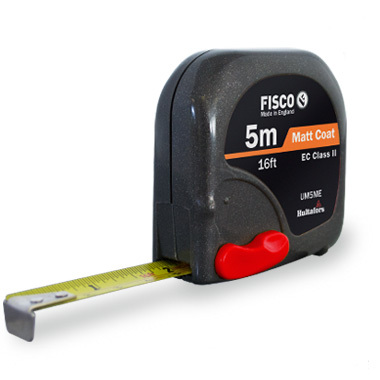 A compact tape measure which fits comfortably into the palm of your hand during use. The smooth rounded ABS case is ultrasonically welded for added strength and features a positive action side lock brake, which is easy to use. Tough ABS case, ultrasonically welded for added strength. Positive action side lock brake.